Effectively enhancing health system pharmacy operations. A national leader in 340B compliance requirements and program optimization. Our consulting is rooted in the 340B regulations. It is informed by HRSA/OPA guidance and our vast 340B experience. Our direct HRSA experience, on-site audit time, and longevity working with the program are unrivalled in the industry. Our experience translates into an in-depth, sophisticated understanding of the program—expertise that can assist you in setting-up and operating a highly successful 340B program. Literally, we have helped make millions of dollars for our clients. Advis is in a unique position to help you. Once up and running, we will continually apprise you of regulatory developments that could impact your program. We help to lay out responsive courses of action to ensure your continuing compliance with regulations while minimizing additional administrative costs. Expert Spotlight: E. Thomas Carey, Pharm D.
In addition to our expert team of 340B consultants, we also employ the insight of knowledgeable pharmacists who partner to guide your organization through every step of the 340B process. Leading the group is E. Thomas Carey, Pharm D., who has worked closely assisted our 340B clients in almost every aspect of program development, oversight, and expansion, since 2014. 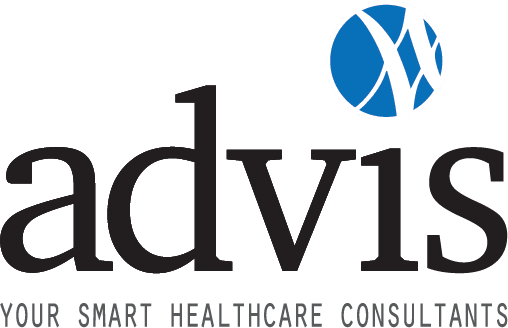 In addition to his role with Advis, he has served as Director of Pharmacy Services at Swedish American Hospital in Rockford, Illinois, where he oversees a team of more than 80 pharmacists and pharmacy technicians. Prior to working for Swedish American Hospital, Dr. Carey worked as a Clinical Pharmacist at Sherman Hospital in Elgin, Illinois. He received his Doctorate of Pharmacy degree from Creighton University. Omaha, Nebraska, in 1996. The OIG and HRSA have recently increased scrutiny of the 340B program through recertification and audit efforts. HRSA conducts audits of covered entities’ programs, focusing specifically on the prohibitions against drug diversion, duplicate discounts and group purchasing arrangements. State Medicaid agencies are also ramping up their audit and enforcement efforts to ensure that covered entities are administering their programs in ways that result in savings to the Medicaid agencies. This initiative is particularly important to many states in light of current budget shortfalls. Several state Medicaid agencies are particularly interested verifying that covered entities are submitting claims for prescription drugs at their actual acquisition cost (AAC). While federal law permits state Medicaid agencies to formulate their own billing policies, many states are now requiring covered entities to bill for prescription drugs at AAC. The effect of this policy change is to make sure that all 340B savings from Medicaid prescriptions are passed onto the state, a policy change that is bolstered by another recent development: many states are now requiring eligible 340B entities to enroll in the 340B program as a prerequisite to their participation in their respective Medicaid programs. Since 2014, HRSA has been issuing findings in most of the audits it conducts. Many of the HRSA audits have resulted in the Covered Entity being levied with sanctions or repayments to manufacturers. The best way to prepare yourself for a HRSA audit is to ensure that you are adhering to a simple system of “best practices.” Advis has documented these best practices, which include various types of assessments, and stands ready to assist with their implementation and maintenance. Our 340B compliance audit program, developed to align with the actual audit process employed by HRSA, involves an assessment as well as remediation. Our teams work closely with you to identify the procedures that need to be put in place for compliance; then we strategize with you to develop processes to remediate and control flaws or weaknesses in the program. We analyze the efficiency of your program and look for ways to further maximize your benefits.